The school follows the Read Write Inc scheme for teaching phonics. Please click on the link below to find out more information. Information for parents about Read Write Inc.
We have written this information for parents. It explains how we teach reading using the Read Write Inc programme. The children practise their reading with books that match the phonics and the ‘tricky words’ they know. They start thinking that they canread and this does wonders for their confidence. Help your child to sound out the letters in words and then to ‘push’ the sounds together to make a whole word. Try not to refer to the letters by their names. Help your child to focus on the sounds. What if my child turns out to be dyslexic? The way we teach reading is especially helpful for children who might be dyslexic. This is because we use a very well-organised programme that has a strong focus on phonics. This is very important for children who find learning to read difficult. If you are worried about your child, please come and talk to us. This isn’t a problem for learning to read as long as we know what sound the child is trying to say. This is not something to worry about. Many children have a few sounds that they can hear clearly but find it difficult to say, particularly the l-sound, r-sound, w-sound, th-sound, s-sound, sh-sound and j-sound. Often they say a t-sound for the c-sound; “tttssh” for the s-sound; “w” for the r-sound and “r” for the l-sound. You can help your child by encouraging him or her to look at your mouth when you say the sound. Whatever you do, do not make your child feel a failure. They can easily learn to read, even if they find one or two sounds difficult to say. In addition, it teaches pupils to work effectively with a partner to explain and consolidate what they are learning. This provides the teacher with opportunities to assess learning and to pick up on difficulties, such as pupils’ poor articulation, or problems with blending or alphabetic code knowledge. Our aim is for pupils to complete the phonics programme as quickly as possible. The sooner they complete it, the sooner they will be able to choose books to read at their own interest and comprehension level. The school has also implemented a weekly stand alone reading comprehension skills lesson in Years 2 to 6 to improve reading skills linked to information retrieval, prediction, inference, deduction and authorial technique. This in depth study of a wide range of texts will in turn support writing and language deficit. In addition to the RWI session and the above reading comprehension lesson, the school is also due to implement a daily reading time to encourage independent learning, transfer of skills and a teacher guided group. All Key Stage 1 staff have received initial training and subsequent follow up visits indicate that current progress is in line with RWI expectations. The reading scheme used is Collins Big Cat to support reading at home. To encourage children to read regularly at home a reward system is in place, and is celebrated each week during family worship. 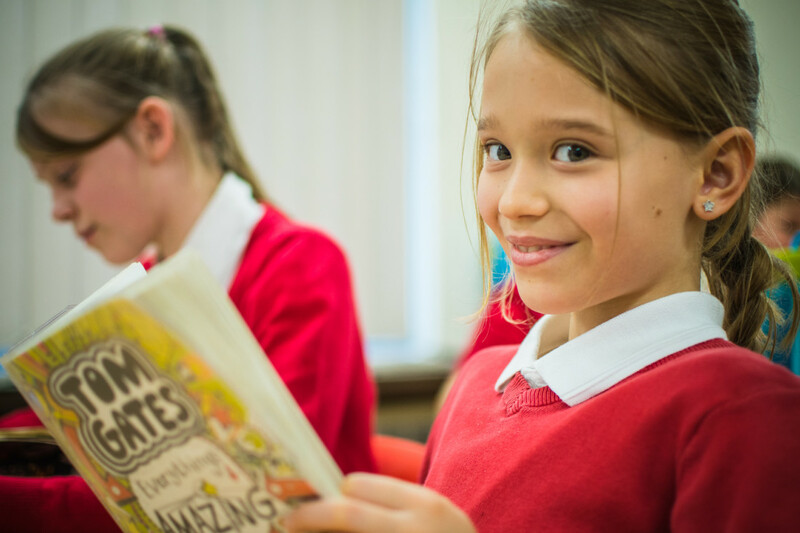 Shared reading is carried out daily in lessons where class readers are used to develop children’s comprehension and reading for enjoyment.